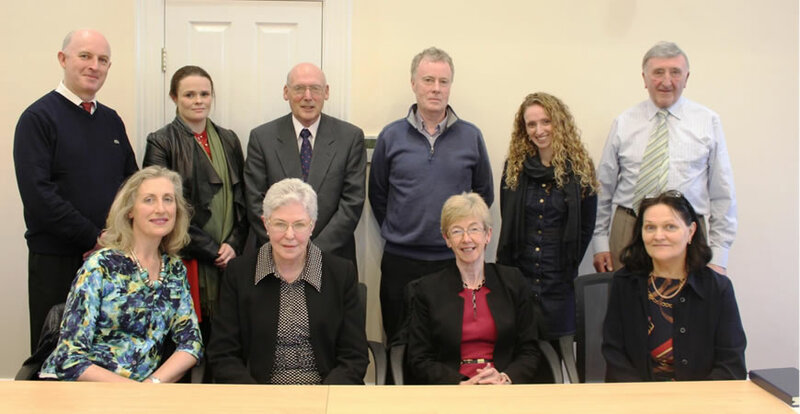 Back Row – Pat O’Riordan, Siobhan Crowe, Liam Lenihan, Vincent Murphy, Eukaria O’Grady, Jerry Cronin Chairperson. Front Row – Diana Bogan-Carey, Sr. Madeline Ryan FCJ Education Officer, Dr. Eilis Humphreys CEO Le Chéile Trust, Ann O’Sullivan. Missing from photo Mr. Michael Cregan Secretary to BOM.